The titular line is no mere simple statement. It suggests the essence of reality. People use this phrase flippantly, yet it constitutes the most meaningful relationship in existence. I have been reading through Sylvia Walsh’s book, Kierkegaard: Thinking Christianly in an Existential Mode. She examines Kierkegaard’s enamor with the subjective interaction with God and theology and makes an apologetic for such an approach over the objective approach that is most commonly used. In it, Walsh examines Soren Kierkegaard’s main thesis for Christianity, that which is the statement, God is love. So often love is understood as an attribute or an extension of who God is. This is reductionistic in Kierkegaard’s understanding. That God is love is the essence of who God is more so than it is an expression of what God does. 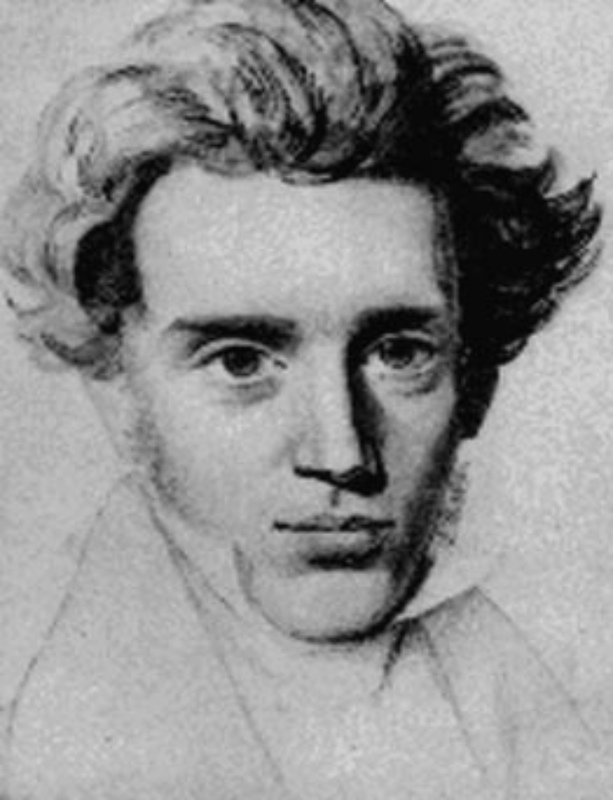 By asserting that love is the essence of God, Kierkegaard directly connects love to the personal aspect of the Godhead. To remove love from God is to postulate a deity much different than God . A critical component of God’s love is that God made himself like humanity. Kierkegaard called the incarnation a “contradiction” as it makes the eternal God temporal and offers a temporal creation eternity. (I have explored Kierkegaard’s intention of the word “contradiction” here). But God’s offering of love to humanity is no mere transformation of the deity into the likeness of humanity. No. Such a claim drove Kierkegaard mad. Through the incarnation, the taking on of human form, God also requires that humanity transform itself into the likeness of God. While an ontological transformation is not made, the relationship between God and humanity takes a new form through an essential nature of God – love. The relationship between the two brings forth a mutual resemblance. God became human so humanity could transform into God’s likeness. Love envelops this process. To unmindfully toss around the phrase “God is love” ignores the potency of the proposition. This utterance is no mere method of comfort. It is a statement of reality. It posits the nature of one’s relationship between oneself and God, and furthermore, the essence of who God is. Athaniasius would like most of this post.